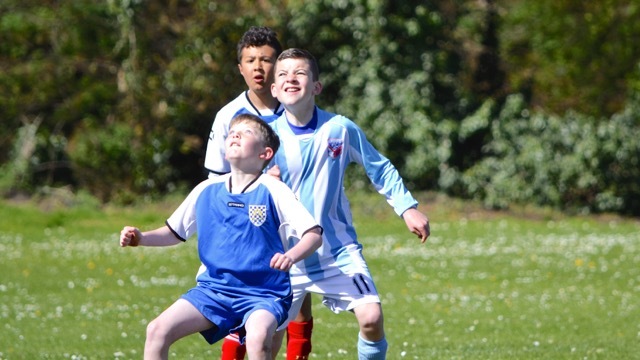 One in three members of the grassroots football community would like to see more done to understand the effects of heading the ball on young footballers or even a total ban, according to the results of a new Club Website poll. After US Soccer last month announced a complete ban on heading for players aged 10 and under due to concussion fears, Club Website asked our members if they agreed with the move. 68% of more than 1,700 people polled disagreed with the rule change whilst only 13% were in favour, but a further 19% said that more should be done to look into the effects of repeated heading on children, meaning almost one-third (32%) of respondents have some reservations about the issue. US Soccer's dramatic rule change - part of a wider package aimed at protecting young children playing the game - follows a lawsuit against them by parents and players after almost 50,000 concussions were recorded in high school footballers in 2010. The rule changes will affect players in US Soccer’s national youth teams and development academy, but can only be implemented as recommendations for its youth members as some do not have direct authority at local level to implement the rule. However, the federation said they "strongly urge" all youth members follow the recommendations, which are "based on the advice of the US Soccer medical committee". After taking advice from an independent expert panel, the Football Association last month published new concussion guidelines to advise coaches and managers at all levels of the game on how to deal with suspected head injuries, with the headline message: "if in doubt, sit it out". Whilst there is no indication that heading will be removed from the game for the youngest players in this country any time soon, our poll result and the recent focus on the issue of concussion by governing bodies suggests that attitudes are slowly changing. An FA spokesperson said: “The FA committed to making the game as safe as possible and noted the recent new rule changes outlined by US Soccer and will closely monitor any available new research in this area. “The FA also recently announced new guidelines which look at how to identify, manage and treat suspected head injuries and to manage a player’s safe return to play at all levels of football. However, they do not relate to how football should be played - something which is governed by the laws of the game set out by FIFA as the world’s governing body. CW poll results: US Soccer has banned heading the ball for all under-11s amid concussion fears. Do you agree?